Kaiv Eyelash Curler - Premium is the finest curler to make your eyes look even more beautiful. 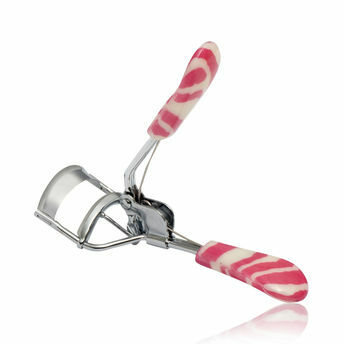 It's plastic handles operate a clamp which gives your eyelashes the perfect curls. And the curling end is fitted with a round rubber pad to protect your delicate eyelashes. Additional Information : Launched in June 2017, Kaiv, is a personal grooming accessory and appliances brand under the business unit of Orkus Private Limited, offering a wide range of world-class products catering to the domestic and international market. Their wide range of products includes hair brushes, handmade combs, makeup brushes, face care accessories, manicure and pedicure tools, bath accessories and grooming scissors. They aim to deliver innovative personal grooming appliances and accessories to provide end-to-end grooming solutions to the urban men and women on a daily basis. Explore the entire range of Eyelash Curlers available on Nykaa. Shop more Kaiv products here.You can browse through the complete world of Kaiv Eyelash Curlers .